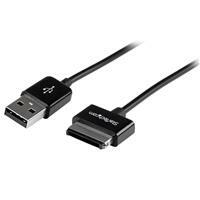 The USB2ASDC3M 3m ASUS Transformer USB Cable features one USB Type ‘A’ male connector and one (40-pin) ASUS male connector, delivering a simple way to connect your ASUS Eee Pad Transformer (TF101, Prime, etc. ), ASUS Transformer Pad (Infinity, etc.) or ASUS Eee Pad Slider to a USB-capable computer. 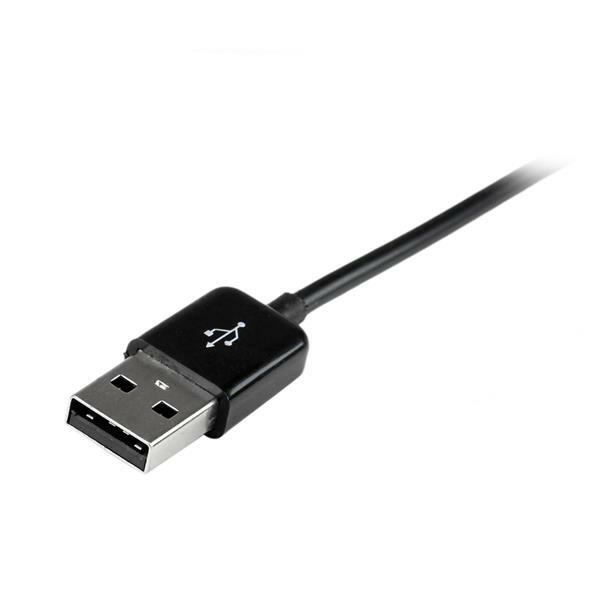 This 3-meter long USB cable for ASUS tablets is twice as long as the standard supplied cable, and allows you to connect your ASUS Pad at further distances from your PC, or Mac® Computer for data transfers or from an available power source for charging. 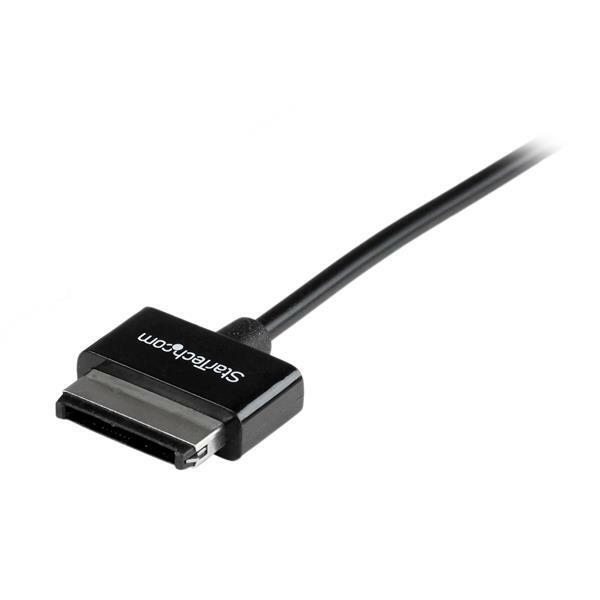 For convenience, this versatile ASUS tablet cable can be connected to a computer USB port for data transfers while you are working. Or you can connect the cable to the USB power adapter which was supplied with your ASUS Pad, for simple charging from an available (wall) power outlet. Backed by Lifetime Warranty, this ASUS Transformer USB Cable is designed and constructed for maximum durability, making it a dependable replacement for damaged or misplaced data / charging cables.